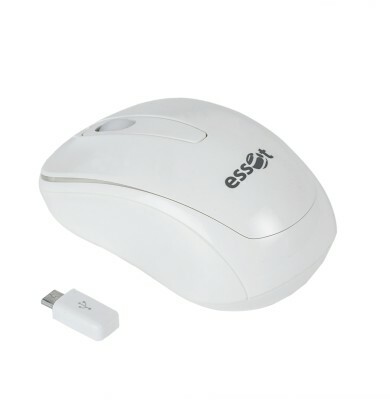 New Delhi, April 24, 2015: – Essot, a leading retail chain that deals in computer peripherals endorses its trailblazing Wireless Optical mouse- the Essot004 Android Mouse for laptops and tablets. It is a tool that keeps its users free from the hassles of tangling wires and enables them to perform their work or play their favorite games with more precision. Essot004 comes with a frequency of 2.4 Ghz and HD optical sensors with an operating distance of up to 10 meters. It has a USB interface that works on Android OS Tabs and Smartphones. An in built Plug and Play feature with Nano receiver in an Ergonomic design makes it compatible for multiple surface use with a resolution DPI of 1000. The product is available in white color at an MRP of Rs. 649 on Flipkart.com!